I have been working on my garden off and on for 16 years. It was pretty bleak when I first moved in. 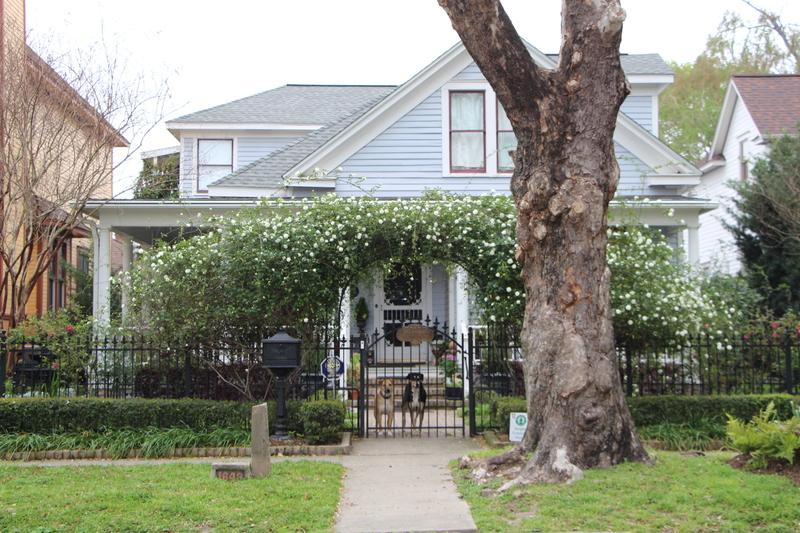 No porch, lawn everywhere and a row of yuccas in the front flower beds. 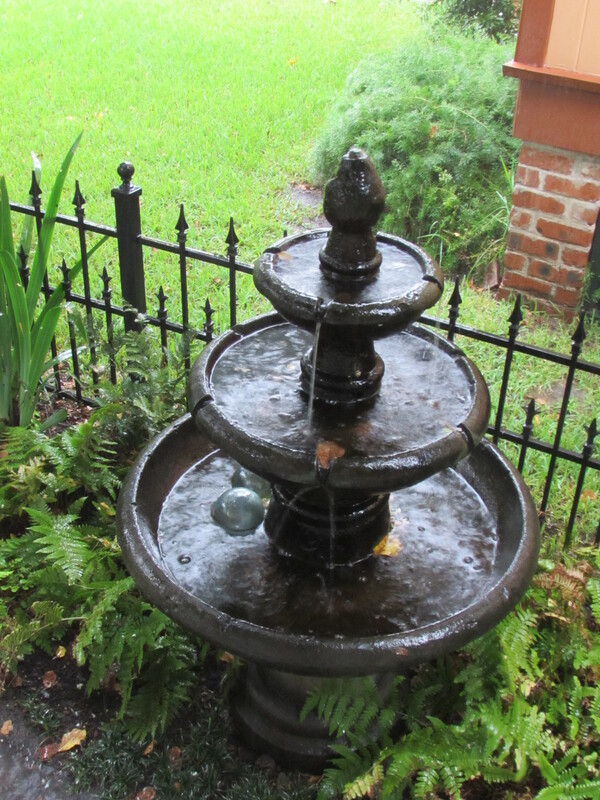 No fence in the front and terrible drainage problems. The public face is what I concentrated on first. I started wanting a semi-formal English garden, having moved here from England. 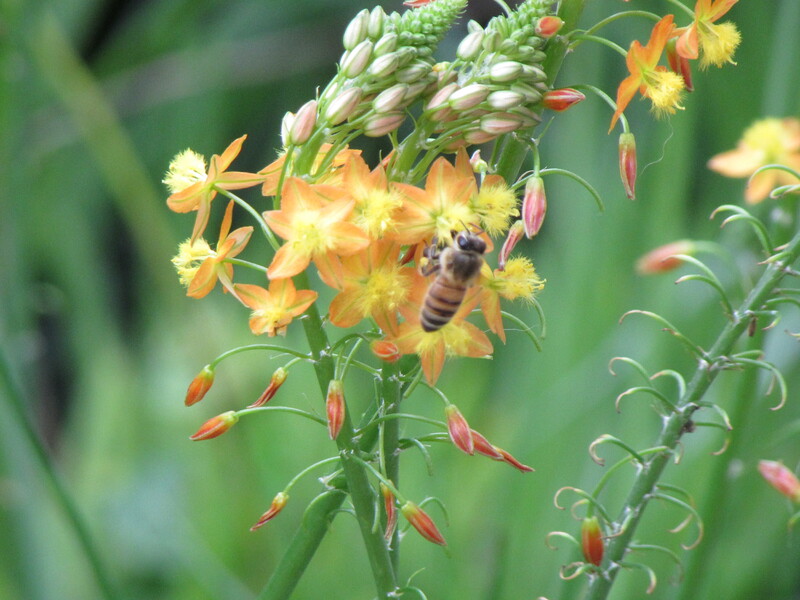 As the years have gone on things have been changing: more beds and more plants that attract birds, bees and butterflies. I even enjoy seeing the squirrels playing in my giant sycamore street trees. 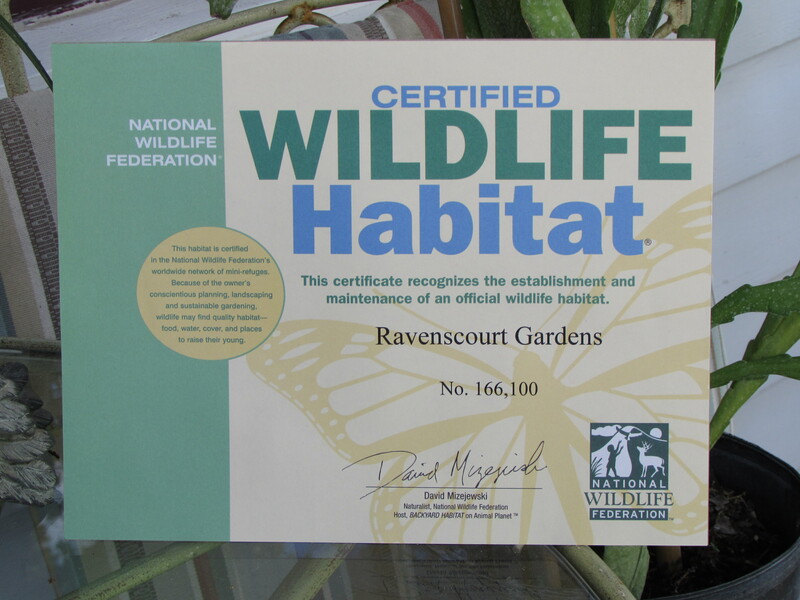 Two years ago, just for fun, I researched becoming a Certified Wildlife Habitat. I found we did qualify. I had been asked to design many gardens for attracting bees and butterflies so this was homework. The National Wildlife Federation has a very informative site and the process is really on the honor system. We did get a sign and certificate but I just can’t seem to find a place I feel comfortable putting up a sign. I am not a sign person, I don’t like wearing T-shirts that have words on them either : ) But really I should figure out a way to promote the program. 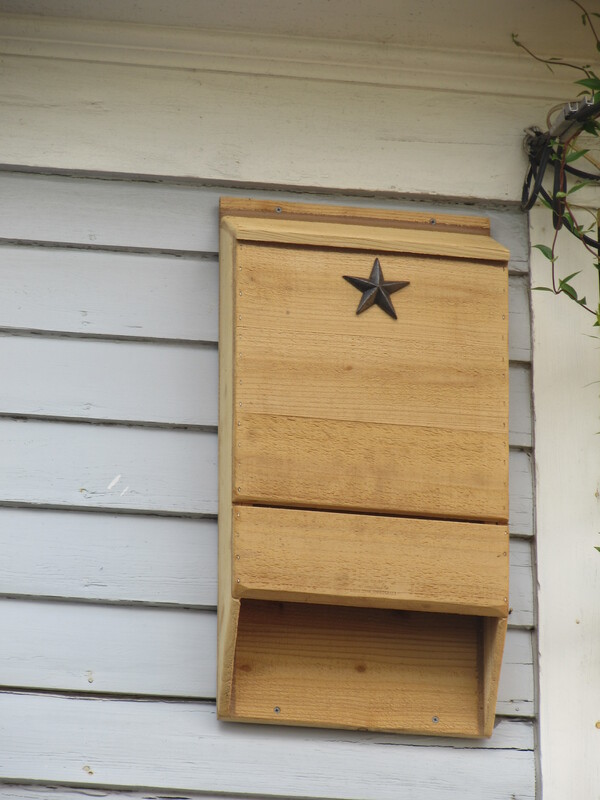 Certified Bat House from Lonestar Woodcraft. Recently we added a bat house ( a birthday gift from my Mother-in-law) to our property and I hope to add a few more. I read that you need a few in different locations so they can move around to control their body temperature. And make sure they are easy to fly in and out of in an areas that are up high. 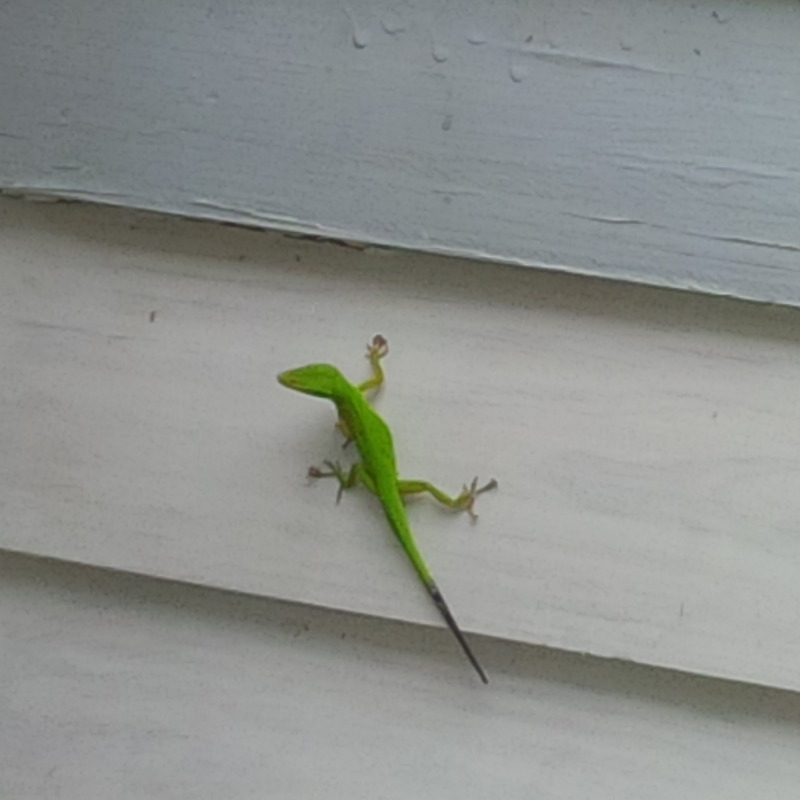 This one is on our second story. In the back corner of our property I have let the native sunflowers go wild and in it we planted a Possumhaw Holly for a source of berries in the winter. It was a really popular place last winter. There is something in bloom all year long. This fall we are adding Snow Storm Beautyberries to our way-back native area. 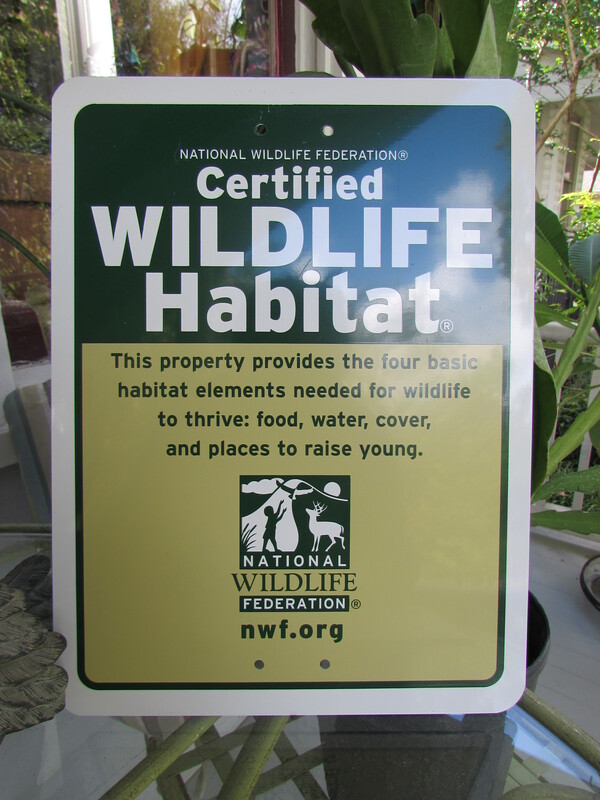 The National Wildlife Foundation’s criteria are something to take seriously in my mind. As we eat away at open land and displace wildlife with our suburban sprawl, I feel we should maximize our own gardens as places to provide food, water, shelter and a place to raise young for wildlife. In our garden here at Ravenscourt we are completely organic. Even when it comes to mosquito control. We use garlic oil sprayed on shrubs if we want to sit outside. For me it is a win-win. I love watching my Walt Disney movie in my garden! 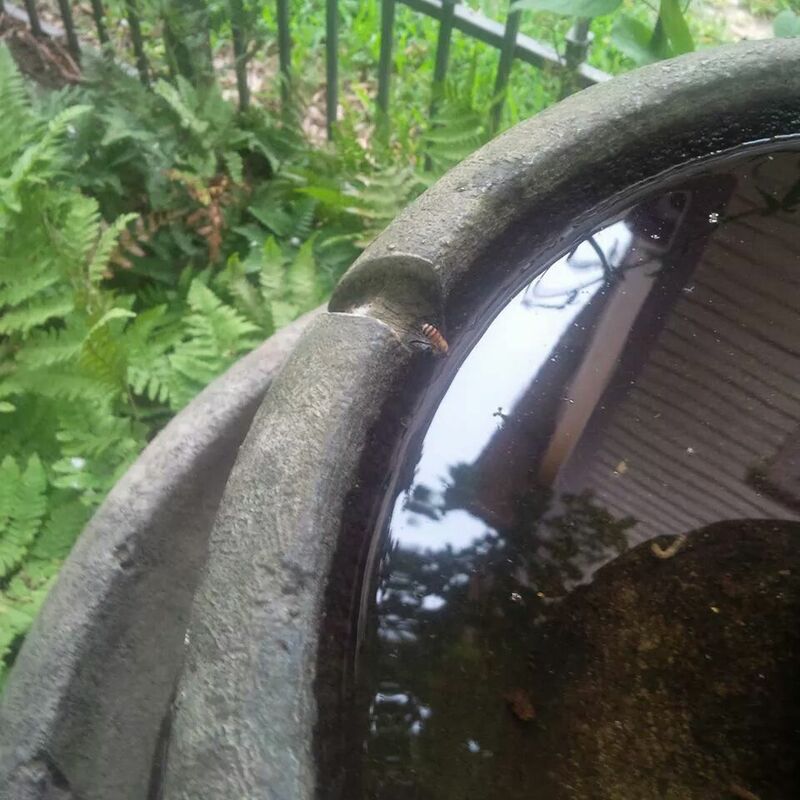 See the bee sipping the water? The rose arch above the front gate always has a couple of nests and the V’s in our roof created by the second story dormers often has nests. This year we found one on top of the arch we recently built over the path. And there is a nice hole in one of the old American sycamores that used to be a nest but lately has a hive a bees. The garden is full of food sources! 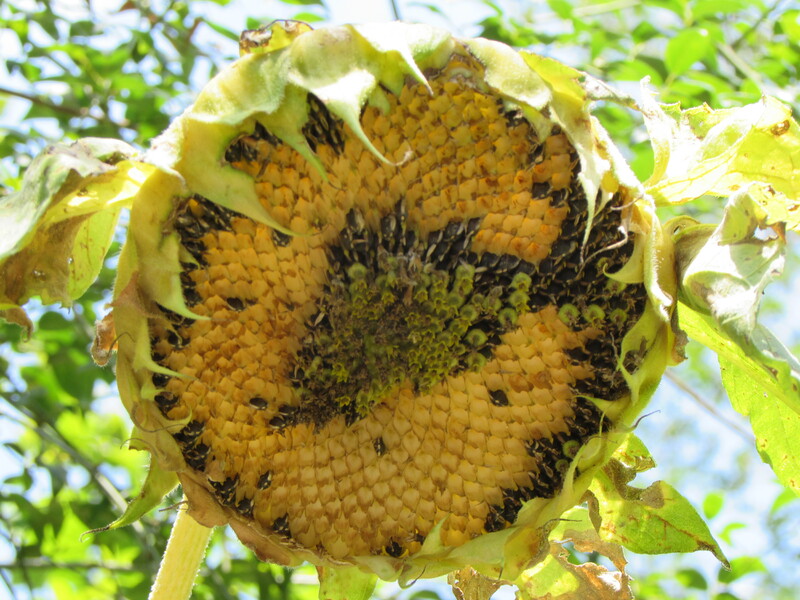 Something is going to seed all year round. But we also put out seed, especially to feed the migratory birds. 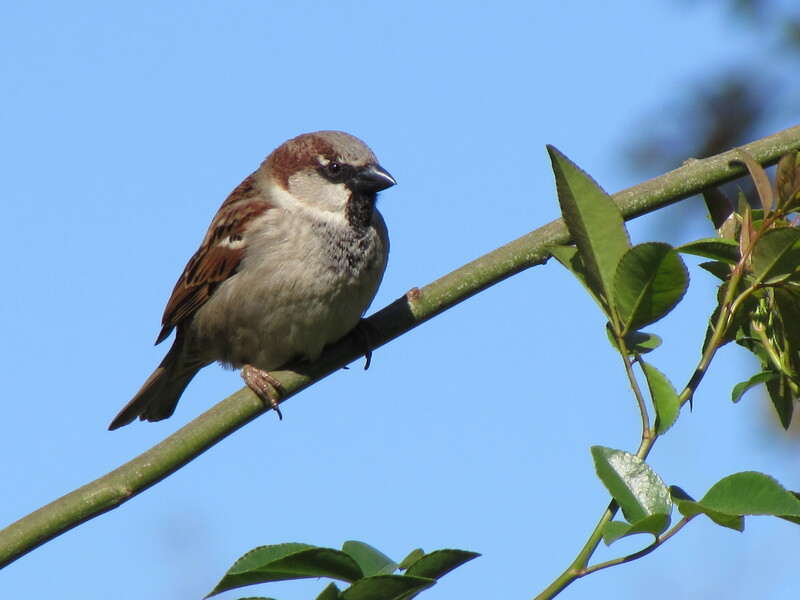 Houston is in the Central Flyway for fall migration of numerous bird species. 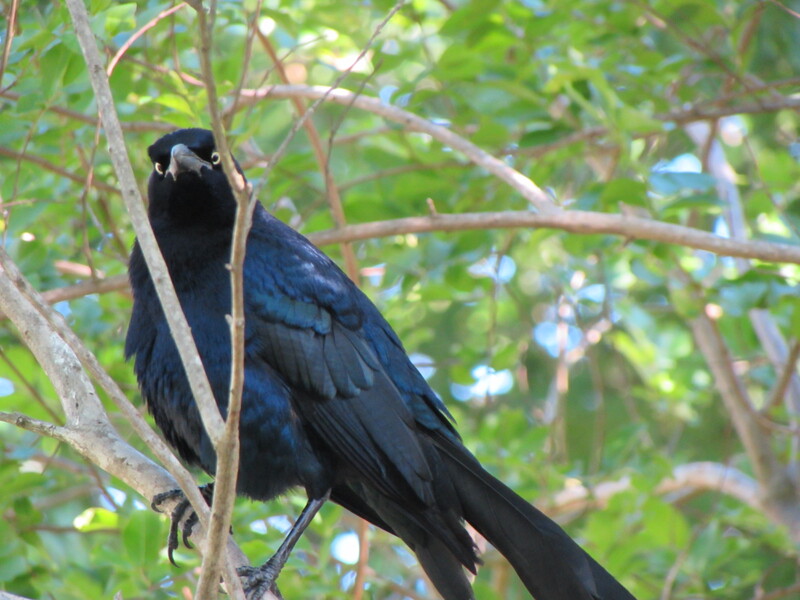 Beginning in July and on through November birds hug the coast as they fly back to Central and South America for the winter. If you would like to know more check out the Migratory Flyways of North America. For a picture of their path click link below! 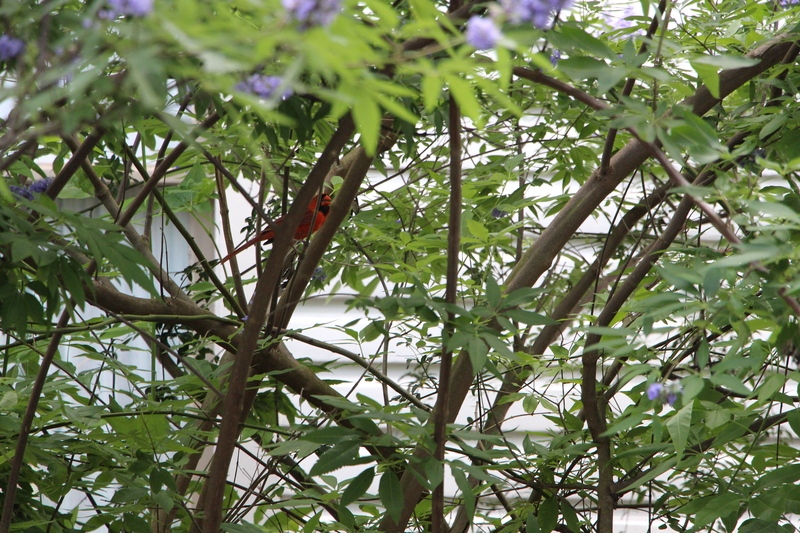 The Cardinals love the seeds on the Purple Montrose Vitex tree. And a few shots of visitors and residents! Not the best shot! Had to shoot through office window. 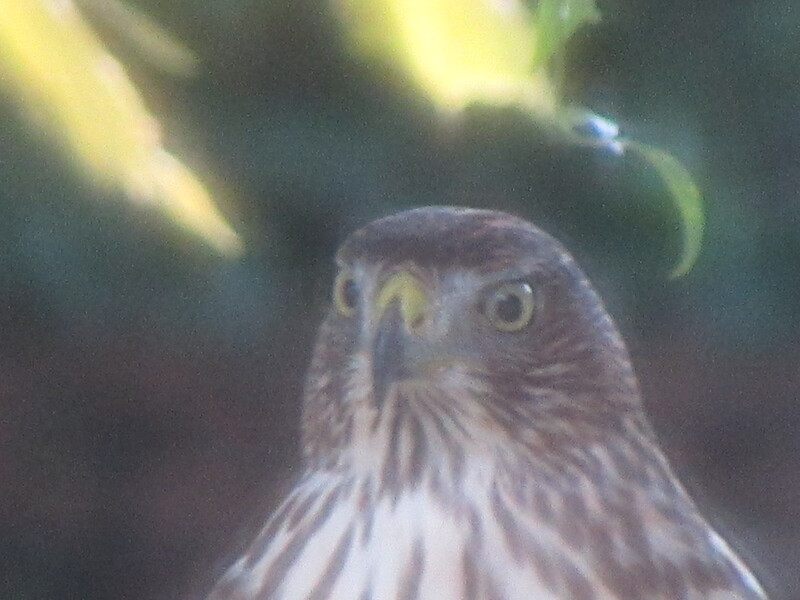 And we seem to have attracted the presence of a hawk. 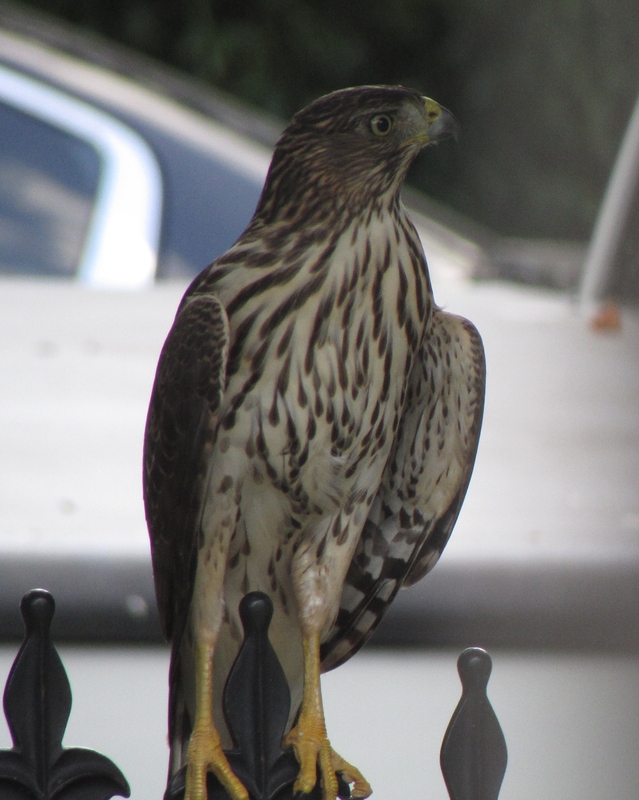 He is very interested in all our birds and loves to sit on our wrought gate under the arbor of roses. I have worried a bit about our tiny old cat that spends most of her time on our front porch. This might not be crazy because just last week one of our crew saw the hawk pick up a squirrel from our roof top. I had mixed feelings. 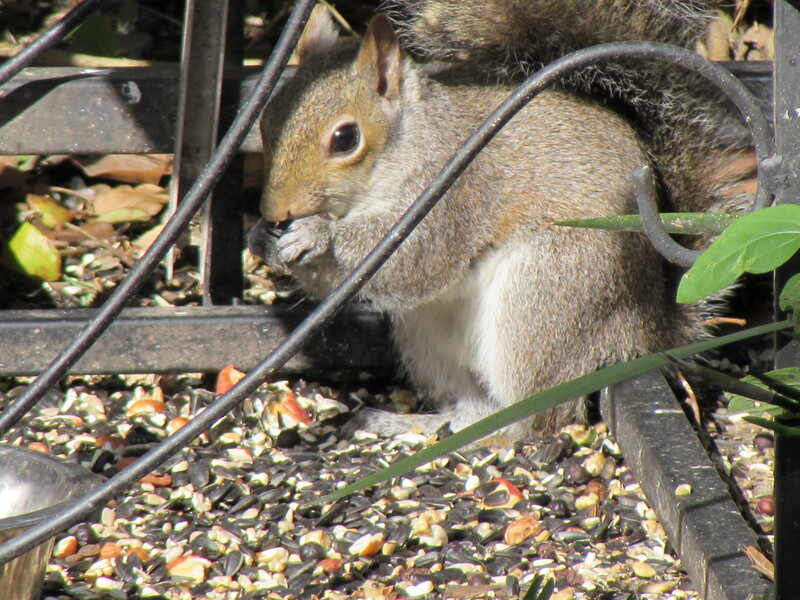 I personally love the squirrels and am happy to see them coming back after they nearly disappeared during the drought. But I know it is the circle of life as they say! So we are feeding hawks too! Wouldn’t it be cool if it was a Raven? What do you think, should we post our sign? Absolutely post your sign! I love your yard. I didn’t know the porch is new. It looks like it has always been a part of your house. 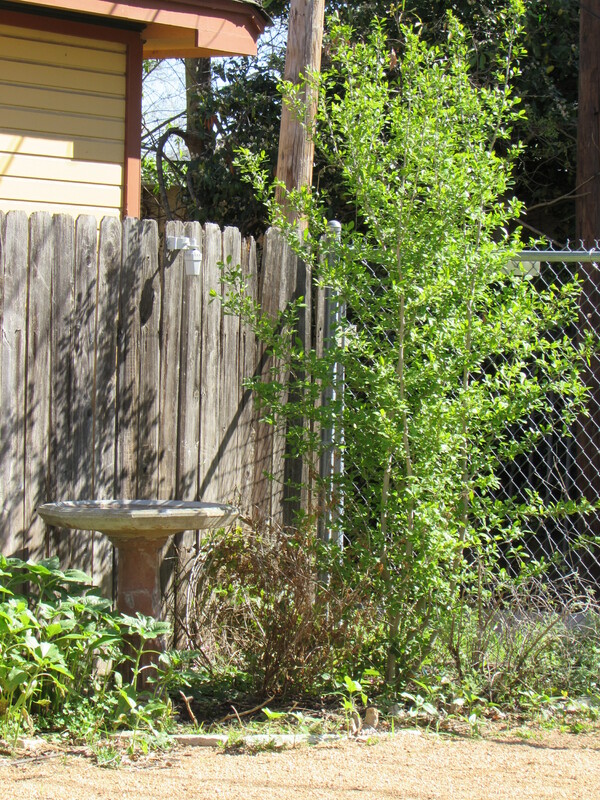 There is so many things to look at in your yard and such a pleasant meander. Janice…I will look for a good place for the sign. I am glad you enjoy our garden. I love it and congratulate you immensely! Of course you should post it. Now I would like to “re-blog” this, can I do it? Thank you for re-blogging! 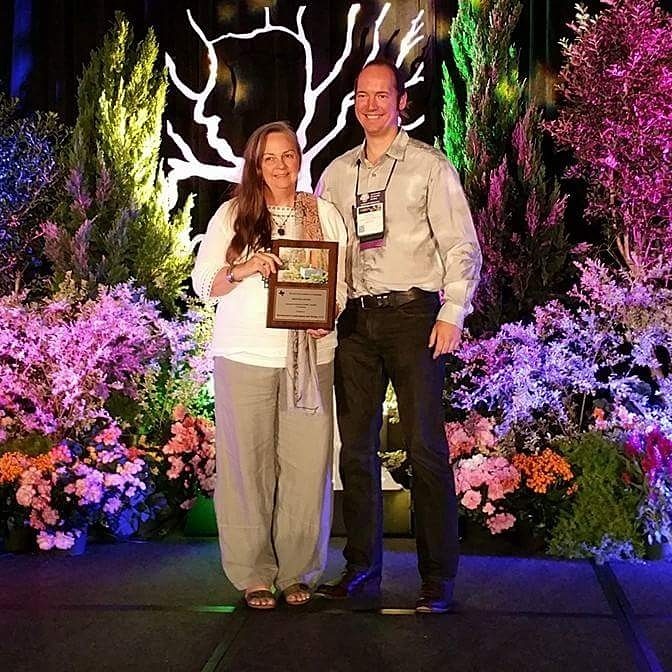 I want to inspire more people to live with nature not in spite of it! I liked and respected this so much that I’m reblogging it to share it! Lovely garden. 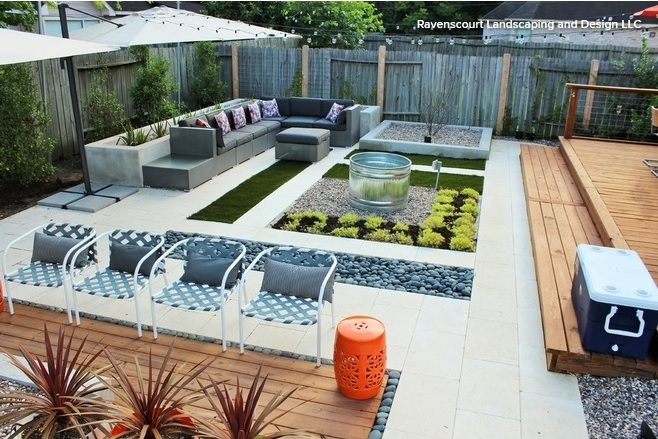 Imagine if everyone’s garden was like that. We try to do the same in our very small Scottish garden. Lovely garden. Imagine if everyone’s garden was like that. There could be an enormous wildlife haven across suburbia. We try to do the same in our very small Scottish garden. Thank you, it would be lovely and is possible! Scotland is more progressive about being pesticide free but it is catching on here. Laurin, absolutely you should post your sign. I’m sure there are so many people who are not even aware of the program and one look at your sign may have them checking it out. It’s a simple way for you to help introduce them to it and of course, the wildlife itself benefits because of it. Really gorgeous photos. I notice the dove is banded. Any information about that? Hi Kylee, I do want to get the word out! 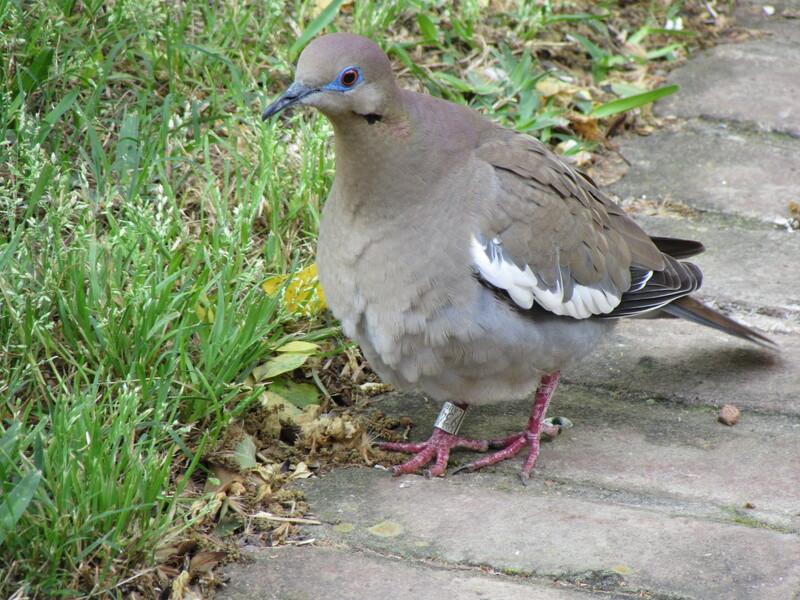 I have no idea on the banded dove. I was trying to get a shot that might help someone. 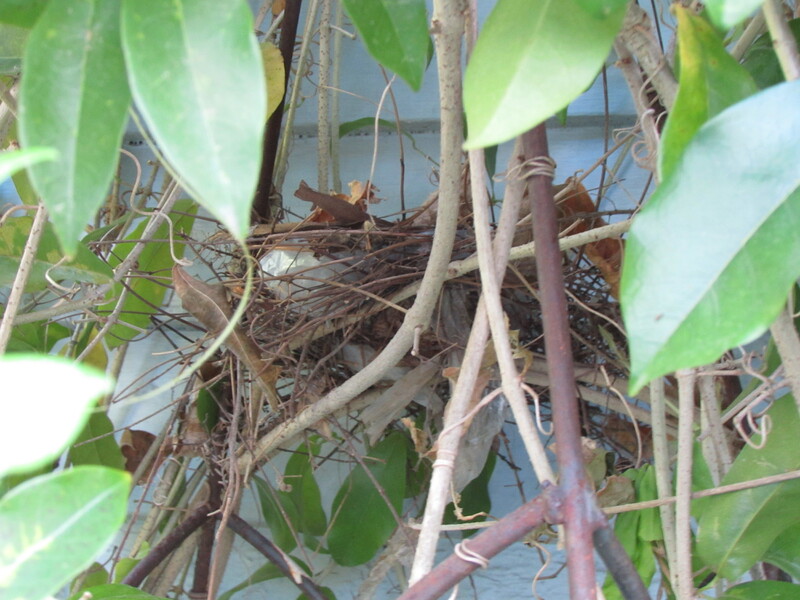 We seem to have a flock of doves and some have nested here. I know they are not the native ones but I still enjoy them. We get birds coming through all the time and the Heights has a really good canopy so there are plenty of places to roost. What a beautiful post! Congratulations on your certification! I agree Laurin. That is just or more important! wonderful to read this post!! Congratulations and post that sign! 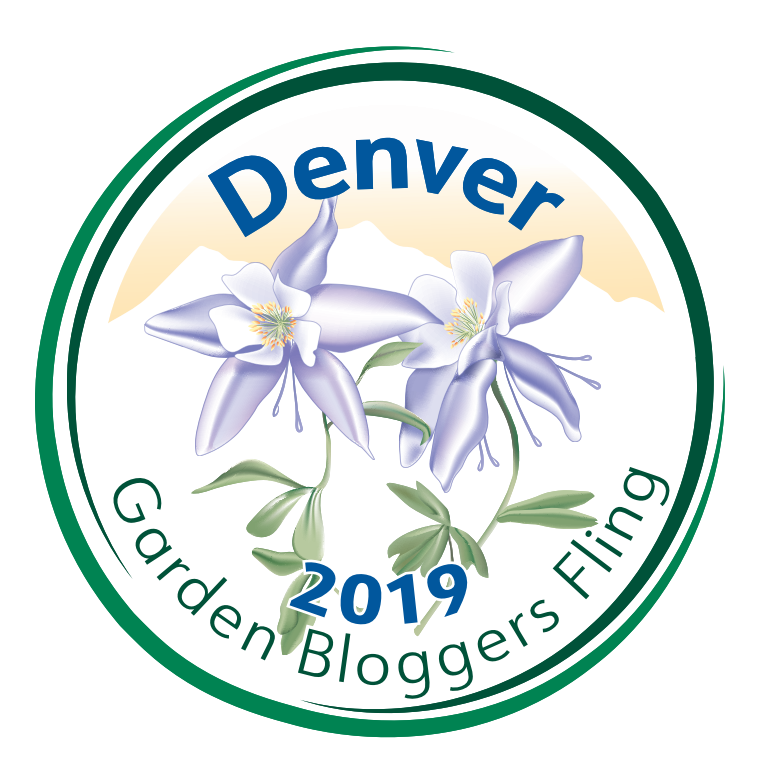 Thank you Cynthia…I am happy this has been a popular post! 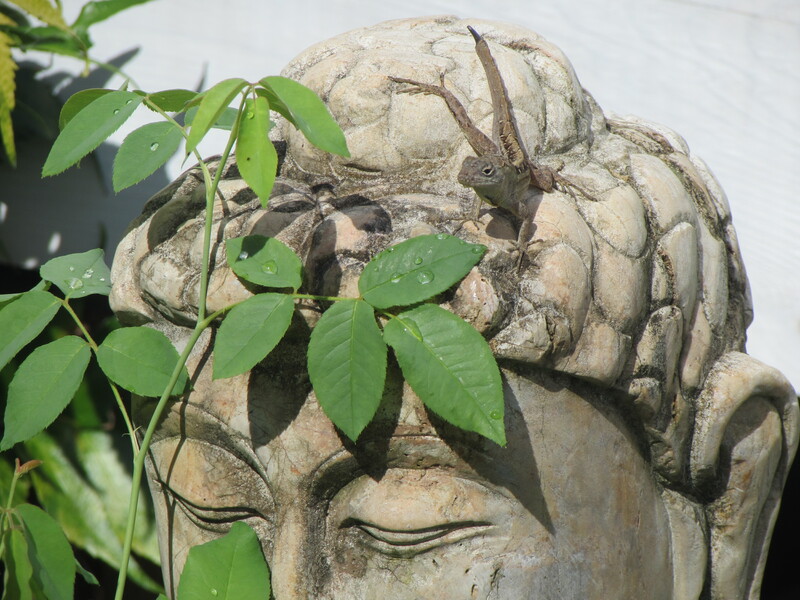 Spent some virtual time in your garden that is a miniature eco-system of plants , bees , birds , squirrels and lizards . very well laid out . please keep it going . Thank you so much Rajagopal! Oh what a fabulous post.. 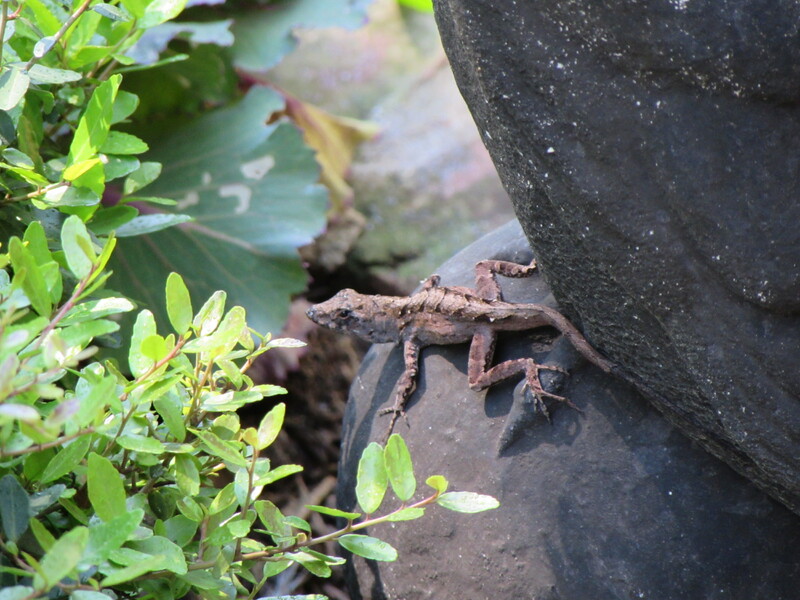 So many varied wild life visiting and made to feel at home in your garden.. Wonderful.. 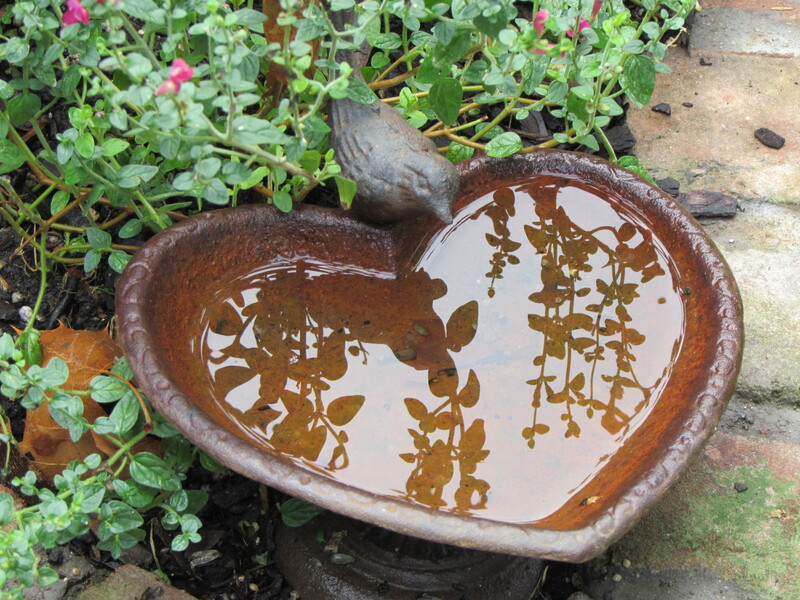 I so loved your images and especially of the Bee taking a drink form the Bird bath..
Love and Blessings for your continued contribution to loving nature and caring for the environment.. Wonderful. I believe I had my garden certified about 6 years ago. Lots of birds and critter are using it everyday. Even if you have a cat, these wildlife can thrive–primarily because they have natural shelter. I would not give you a thank-you for a bat shelter (since ebola), but those fury creatures were interesting to me when I was a kid. Depending on your location, bats can be a pest. Our poor daughter has been trying to chase them out of her attic spaces (several gables) for about a year now. Finally they resorted to netting the holes at daybreak so they could not get back in. Thank you Mary Rose. Hope your kitties are smart and keep an eye out for the hawks. It is all about balance!